Quiz: What do Yellow Vests and Bitcoin share in common? Revolutions need not always be violent. During the last days many French cities have turned into battlefields, with brutal conflicts between police and rioters, casualties, tanks in the streets, chemicals, plastic rounds, destruction of properties, while the entire country is suffering politically, socially and economically. Now, the so-called "Gilet Jaunes" (Yellow Vests) are essentially trying to force Macron to either quit or comply with their demands (basically to reduce taxes), in a more peaceful way. Through social media and other means, Gilet Jaunes are calling the French people to the "Collector's Referendum". It's basically a bank run. But what is a bank run? A bank run is the mass, simultaenous withdrawal of bank deposits. Gilet Jaunes are calling for a bank run in order to collapse the french financial system, and eventually, Macron. 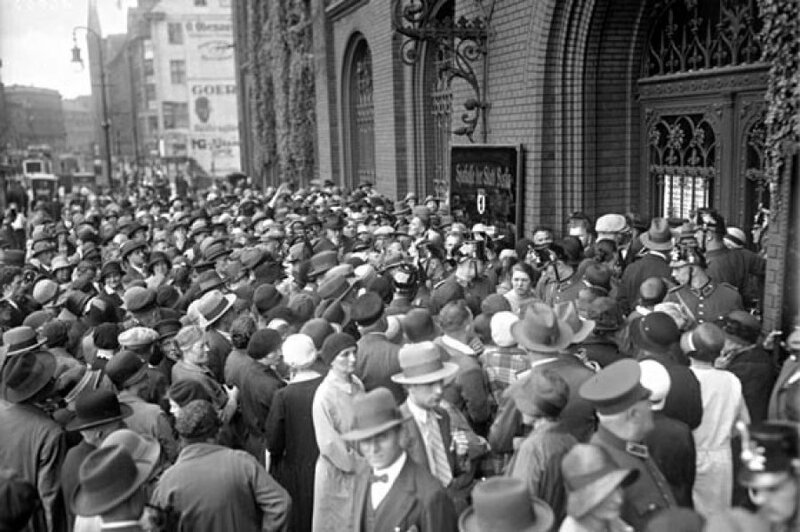 One of the most famous bank run events occurred during the Great Depression, when citizens tried to withdraw their money from the banks as quickly as possible out of concern that the banks didn’t have enough money to give back to everyone, even though the banks claimed that they did. Bank runs usually happen at times of economical crisis, wars or cases of investor panic - when for some reason people don't feel safe with their bank deposits. When capital controls were implemented in Greece, in 2015, people made huge queues at bank ATMs in order to withdraw as much as 60 euros. "The Great Depression 1931 - Bank run"
The greek case was indeed a bank run, but not effective enough to make the system collapse. The reason was capital controls. Capital control limits are calculated carefuly, so that even if an entire nation tries to withdraw its bank deposits, there will be enough capital left for the banks to be able to function properly. However, this is not the case in France, because there are no capital controls (yet). The Gilet Jaunes bank run is therefore not the consequence of a financial destabilization. It is rather the cause of a destabilization, as a leverage to "blackmail" Macron. It is estimated that french banks hold only 1/4 of the capital required to withstand an organised bank run. In the case of such a big bank run, the consequences in the fench and european financial system will be tremendous, and the real but mostly psychological impact on the euro will be even bigger. The world and especially Europe is experiencing huge political, economical and social transformations during the last years. A bank run is one of the few real leverages the people have, and its signifance will become more apparent in the future, as more and more negative signals of global economic slowdown overshadow world economy. Where does Bitcoin fit into all of this? Cyprus's economic crisis of 2013 led to a bank run, which contributed to Bitcoin's growth in the country, as people sought alternative means of payment or a store of value. Acccording to analysts, a french bank run is unlikely to succeed, even though only a small fraction of french bank withdrawals is enough to "break" the system. 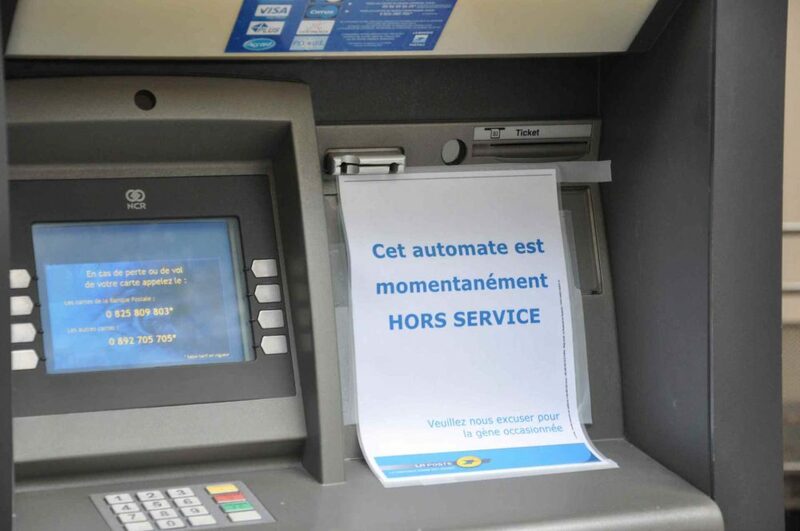 French banks have already taken counter-measures, by closing ATM's, in order to cause bigger queues in the remaining ATMS, an attempt to brake the will of Gilet Jaunes. However, Gilet Jaunes have already stated that in case of failure, there will be another coordinated attempt of a bank run next month. But success or failure is relative. Because just the idea of a bank run triggered waves of enthusiasm in french (and not only) social media, who started talking again about Bitcoin as an alternative means of payment during the bank run. France is a big european market for cryptocurrency. Analysts estimate that if every French person converted 20% of their bank deposits into #Bitcoin (and got a Bitcoin debit card to use for day-2-day stuff), French banks and the government would collapse and a lot of bloodshed could be avoided. Bank runs in the past have proved to be a positive event for Bitcoin, either through a price increase via capital flow, or by popularity increase in social media, which also has a positive impact on the price, long-term. After all, the world needs to be "dissapointed" a lot of times by something, a political system, a person, or even a currency (such as gold, dollar, or even cryptocurrencies), before people start to shift to alternatives (in our case, Bitcoin). In other words, a french bank run might not be as succesful as Gilet Jaunes would like, but it is definetely sending a message to the world, by hurting the current financial system's credibility, which isn't really high, to begin with. The french bank run is one of those actions that are leading people to alternatives such as Bitcoin, by "building" a new philosophy, and setting the foundations that will prepare the ground for a financial evolution, through the ultra-fast and reliable crypto-transactions.